Auto racing comes in many forms. In America, stock car racing has become one of the most popular sports (and NASCAR one of the most recognizable brands) in the country. Formula 1 racing takes center stage throughout Europe and is expanding internationally, where icons like Michael Schumacher have captivated crowds. Yet there are many other forms of racing, including touring car, production car, rally car, karting, and more. Whatever kind of racing you're into, all the information you desire can be found online. If you have a need for speed, we will lead you through the Internet's winding road. Auto racing traces its roots to the creation of the first petrol-fuelled autos in the late 19th century. The Paris magazine Le Petit Journal initiated the first automobile race in 1894. The sport quickly spread to the United States, where the first race traversed about 54 miles of Illinois and took the winner more than 10 hours to complete. As the sport evolved it differentiated, as some cars were made lighter, packed with superchargers, and made more aerodynamic. Now rally cars, stock cars, production cars, funny cars, and more all race under their own unique rules and specifications. The Internet can help you keep up with the different branches of this sport, all with their own rich histories. Auto racing has a few different names: automobile racing, autosport, motor racing, and motorsport. The latter two names can also characterize motorcycle racing, so if you want to narrow your search, do not use them. Because of the growing popularity of auto racing in the United States and throughout the world, sites devoted to some aspect of the history of this sport are plentiful. But everyday people who have a passion for the sport create the great majority of these sites, and as a result, there are a lot of issues with legitimacy. So certainly do not be afraid to peruse these potentially rich sources, but pay attention to who the source is. AutoRacingHistory.com does more than provide you with a large amount of historical auto racing history: it's also a great source of links to other auto racing history sites. Not every site listed on its "Links" page is worth your time, but if you are looking for a wide variety of choices, this is the place to go. , part of the Smithsonian Institution, presents its "America on the Move" exhibit online. The exhibit is a great place to begin learning about the history of American auto racing. The site consists of drawings and photos to accompany the history, starting with the birth of racing in Europe and continuing to the present day, when there are races involving fuel-efficient vehicles. is part of The Motorsports Publishing Group. The general Grand Prix history section details the formation of auto racing and particularly GP racing in a comprehensive, easy-to-understand manner. The site lists 26 Grand Prix Hall of Famers, each with a concise history and numerous photos. 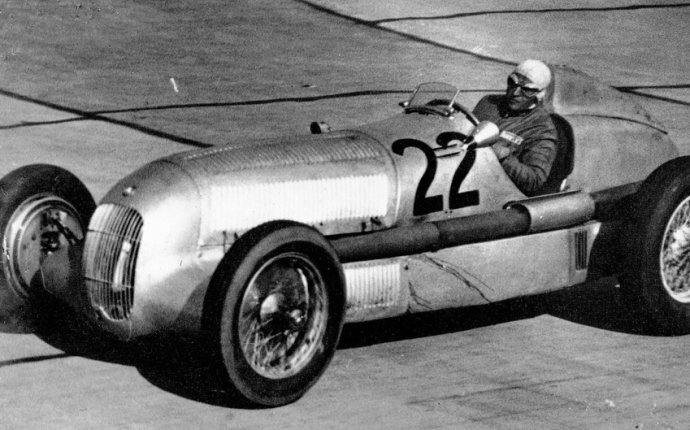 is a unique site in that it specializes in the history of GP racing from 1934 to 1939, the years when Mercedes-Benz was in fierce competition with Auto Union. The site is a bit disorganized but it contains troves of very interesting information that you probably won't find anywhere else. However, all of the information may not be 100 percent accurate (as the foreword by Doug Nye warns), so be careful with your analysis of the details. contains an impressive account of the history of Formula 1 racing. The information is well organized in sections for "The Early Years, " "The British Era, " a "Grooves and the New Legends" section, and more. Plenty of photographs help to round out the information. provides a great history of stock car racing as well as NASCAR. There's a decade-by-decade recount of stock car history, a section dedicated to great races, a year-by-year compilation of articles for the Daytona 500, an assemblage of passages on the 50 greatest drivers, a section on past champions, and a feature on the evolution of the stock car. has a good, concise history of NASCAR beginning with the foundation of the sport around World War II and continuing through the Dale Earnhardt era. The site's goal is to create a community for female NASCAR fans throughout the country, but this history is quite useful for fans of any gender. offers this interesting and helpful history of the Indianapolis 500. The site describes the origins of the track and its decline during the Depression and World War II, feuds, famous families, and bios. There is even a list of deaths at the racetrack, including racers, mechanics, and spectators.